Very intent listener and connected with me really quickly, grasped my situation in no time and gave sound advice, includingbehavioral suggestions rather than meds as first option. Very intent listener and connected with me really quickly, grasped my situation in no time and gave sound advice, including behavioral suggestions rather than meds as first option. Dr. Mughal takes time and listens. Very engaged in my health. Very encouraging and caring and thorough. I feel comfortablediscussing my situation and health concerns with Dr. Mughal and encouraged to focus on areas where I need to focus and improve. Dr. Mughal takes time and listens. Very engaged in my health. Very encouraging and caring and thorough. I feel comfortable discussing my situation and health concerns with Dr. Mughaland encouraged to focus on areas where I need to focus and improve. Dr. Shazia Mughal is a board certified Family Physician. She gained a wide array of clinical knowledge from her residency program including providing care for medical, surgical, pediatric, and obstetric patients. 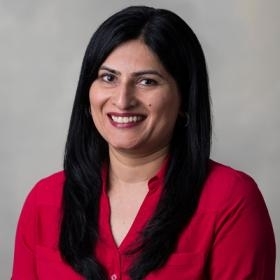 Dr. Mughal places strong emphasis on prevention and patient education, and she's passionate about empowering patients to prevent illnesses while taking control of their own health through education and lifestyle modifications. Dr. Mughal focuses her practice on evidence-based medicine and current guidelines. Her personal interests include cooking, traveling, reading, and spending time with her family. Dr. Mughal is always very thorough. She asks a lot of questions, and discusses all possibilities with me. I've recomeded her to a lot of my friends. I've been seeing her for at least 3+ years. Dr. Mughal is very much involved in my care in all aspects. Very attentive & listens to me. Very good about covering my medical needs using the complete picture. Dr. Mughal is the best.